Well, another school year is over… Yesterday we made our annual trip down to campus to load up the car with dorm room accessories and furniture that will be stored away for the summer. Packing and unpacking can make for a long day! Sometimes it’s hard to find a break to stop for a meal as parking is limited and the anticipation of the heavy traffic on the return trip home makes everyone anxious. Having said this, I was prepared for the worst as I loaded up a goodie bag with scones, yogurt, cold pizza, bottled water, sandwiches, homemade applesauce and a few energy bars as we started out on our daylong voyage. I have a recipe that combines just a few ingredients to make a batch of tasty scones so I got up early to prepare them for the trip. 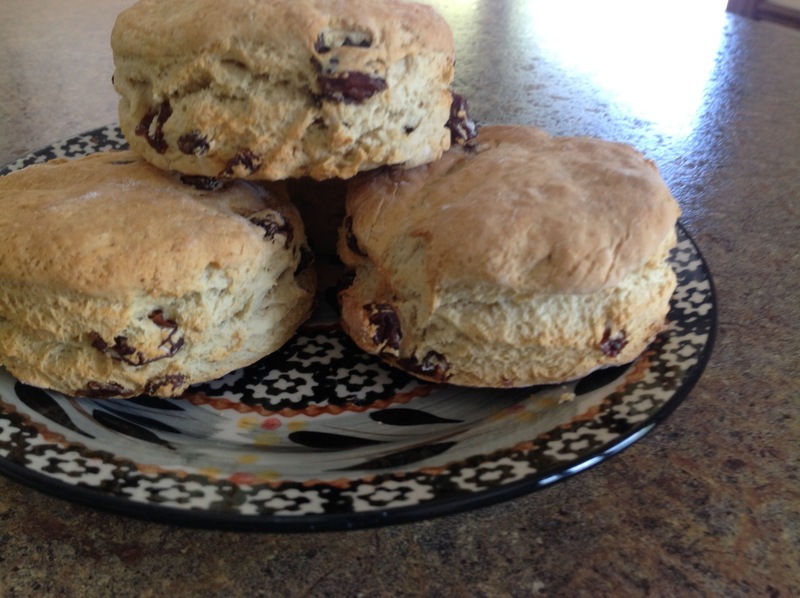 I must say, I had to slap a few hands as I took the scones out of the oven for everyone wanted to nibble on the treats before leaving the house. I quickly covered the tray with a light tea towel and told everyone to find something else to eat. These little gems were to be packed in with the other goodies we would eat after a long day of packing and pitching. 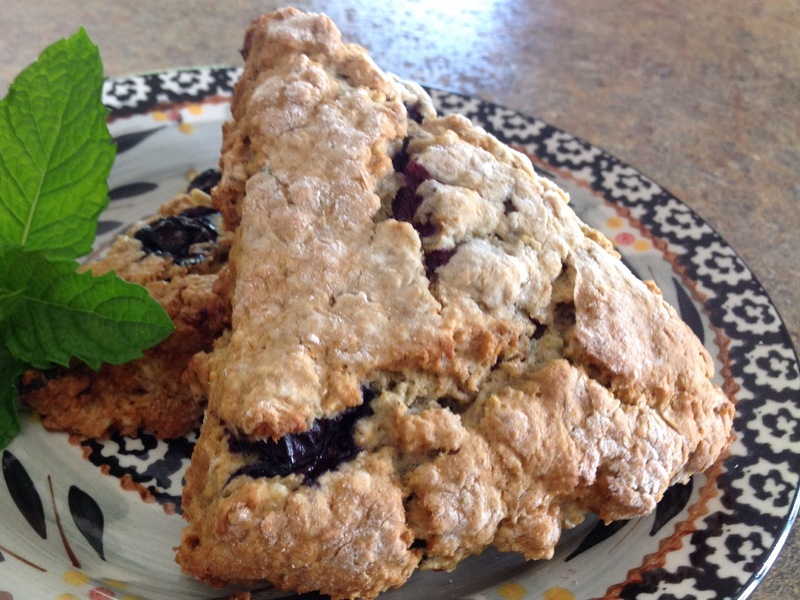 Here’s the recipe for the tasty 4-ingredient scones. 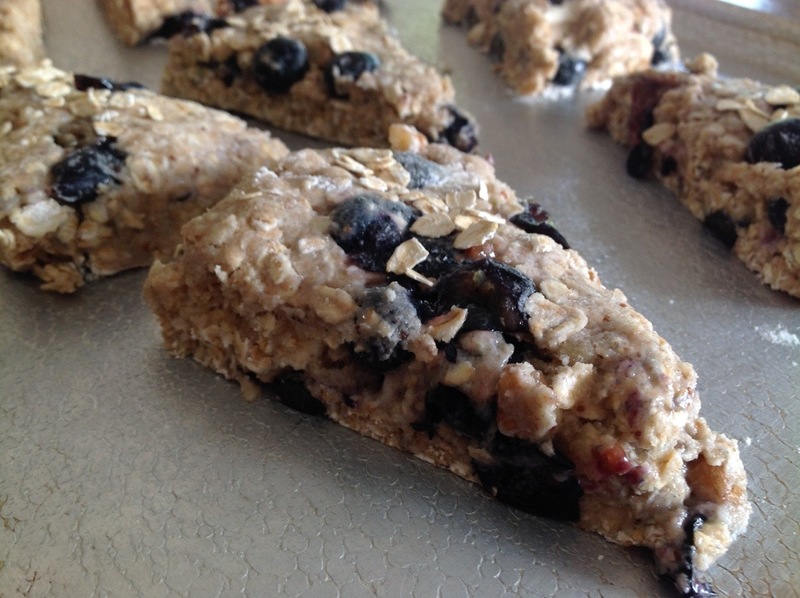 They are made using a muffin mix which is super convenient, quick, and easy! I had an egg white left over from another recipe so I brushed the tops of the scones and sprinkled them with a bit of sugar before popping them in the oven. One 18-ounce box of cranberry-orange muffin mix. Preheat oven to 375 degrees. Use non-stick spray to lightly coat a cookie sheet. Pour the muffin mix into a large bowl. Add egg, yogurt and water. Stir to mix batter. Batter will be thick. Rinse and drain the cranberries that come with the mix and stir into batter. Pour mixture onto a lightly floured surface on pat together to make a flat round about 1″ thick. Add flour if needed. Cut the round into 8 triangles by slicing in half, then fourths, then 8 triangles. Carefully place onto a lightly greased baking sheet. Bake for 15-20 minutes. Slightly cool; remove to a baking rack to cool completely. Heat oven to 375 degrees. Cut margarine into flour, sugar, baking powder, baking soda, salt, with pastry blender until the mixture resembles fine crumbs. Stir in raisins and buttermilk until dough leaves the side of the bowl. Add more milk or flour as needed. Turn dough out onto floured surface. Kneed until smooth, about 1-2 minutes. Roll dough into a round about 1/4 to 1/2″ thick. With a biscuit cutter, cut scones and place on ungreased cookie sheet. Bake for 15-18 minutes or until golden brown and cooked through.